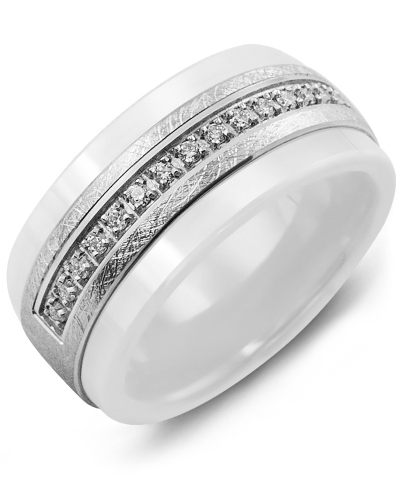 MWT - Milgrain White Ceramic Diamond Wedding Ring Timeless and beautiful, this Milgrain Diamond White Ceramic Wedding Ring will make a striking addition to your jewellery collection. 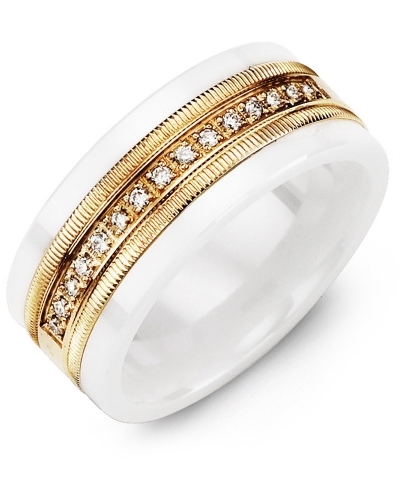 Impeccably styled to complement modern engagement and eternity rings, it features a 9mm white ceramic band, a gold insert, and 15 alluring diamonds with a total carat weight of 0.15ct. The insert is available in white, rose and yellow gold, and 10kt, 14kt and 18kt options. For a personalised touch, engrave the inside with your wedding date or initials. 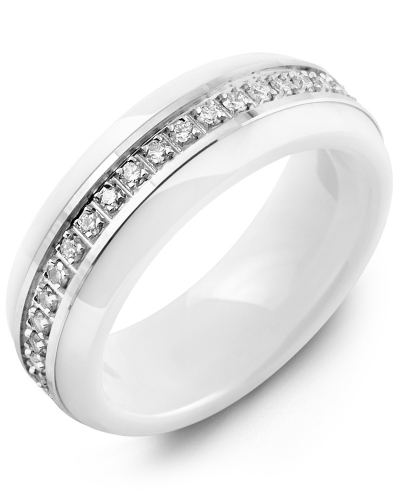 Timeless and beautiful, this Milgrain Diamond White Ceramic Wedding Ring will make a striking addition to your jewellery collection. Impeccably styled to complement modern engagement and eternity rings, it features a 9mm white ceramic band, a gold insert, and 15 alluring diamonds with a total carat weight of 0.15ct. 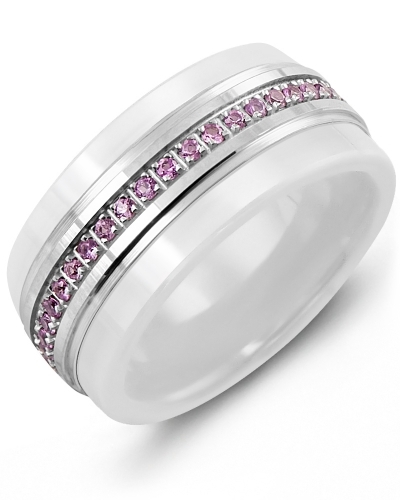 The insert is available in white, rose and yellow gold, and 10kt, 14kt and 18kt options. 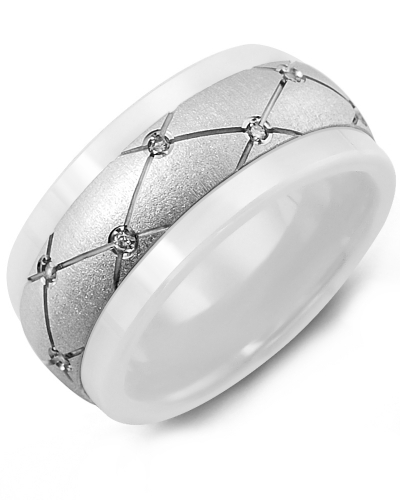 For a personalised touch, engrave the inside with your wedding date or initials.